Bridge Technologies has announced that its VB440 probe is being widely deployed by customers around the world, with numerous broadcasters expressing their enthusiasm for its unique capabilities that help them ensure optimum deliver of content from source to destination. The VB440, with its unique dual 100 Gigabit interfaces, is the only device of its kind that supports analytics for uncompressed 4K resolution video over IP and provides customers with the capacity to instantly identify – from anywhere in the world – errors in streams that can result in deteriorated Quality of Experience. Users can select from multiple sources and immediately understand the type of content, its format, its frame rate, its colorimetry parameters and so on prior to inspecting packet behaviours in order to provide insight into what needs to be corrected. The VB440, coupled with the Instrument View user interface, makes the analysis process not only fast, but intuitively simple – an important benefit for those not yet 100% familiar with IP networks. The VB440 would typically be connected to the core of the signal distribution network and, such is its power and capability, it can replace multiple pieces of equipment scattered at various points throughout the delivery chain. 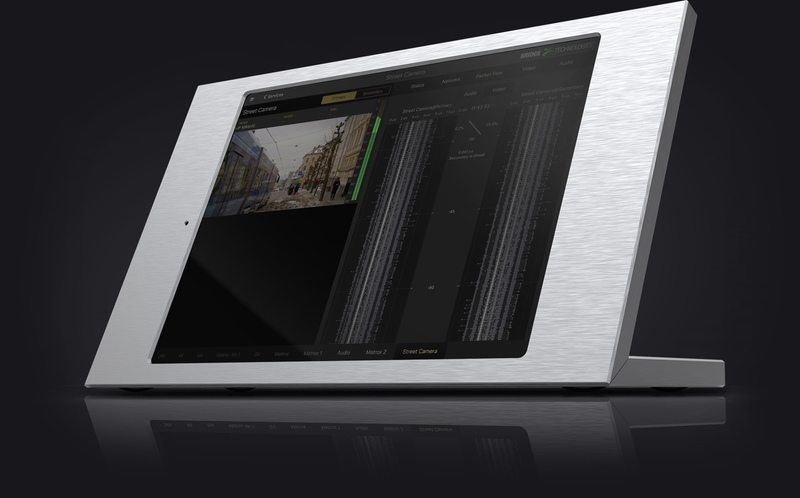 The insight it provides can be easily and instantaneously interrogated from any location, giving unprecedented flexibility in, for example, remote production scenarios. The VB440’s support for dual 100 Gigabit interfaces allows it to provide analysis of redundant networks as described by ST2022-7. PTP is provided with ST2059-2 clock analysis. It also supports uncompressed media flows over IP with both ST2110 and ST2022-6 transports, providing network operators and digital media organisations with an analytics solution for numerous streams and multiple technologies in real-time and in parallel.